We are so over the moon to have recently learned all about the amazing work from artist Alex Lockwood. 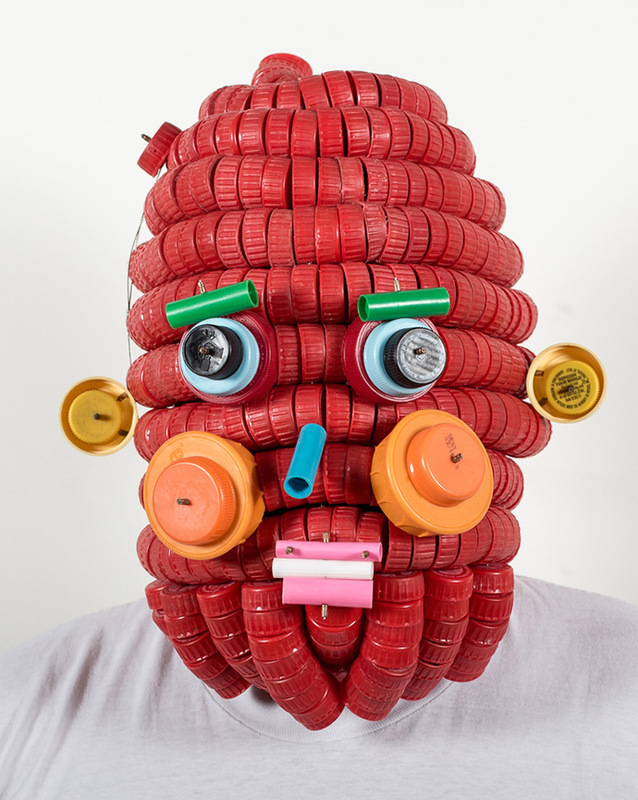 One of our ultimate inspirations is recycled art and using everyday objects in unexpected ways, so Alex’s masks and sculptures using bottle caps and recycled plastic have got us amazed. 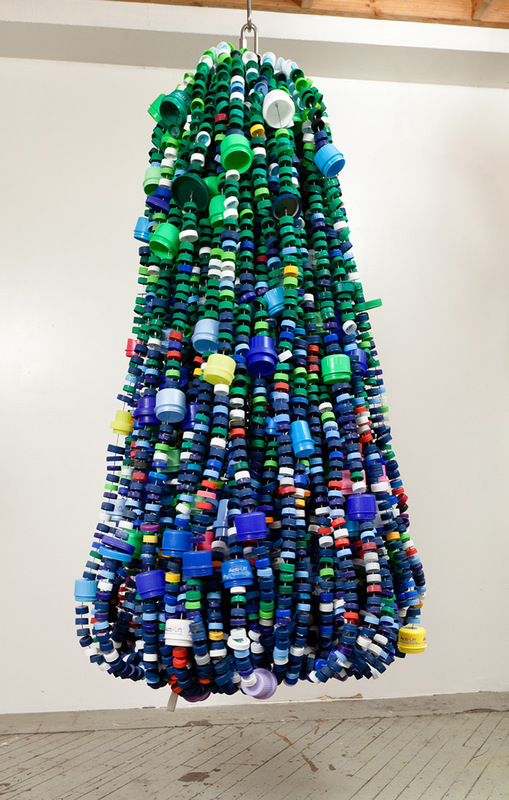 Born in Seattle but now living in Nashville, Alex collected bottle caps, lids, and other recycled plastic from plastic redemption machines that don’t accept bottles with lids on them. 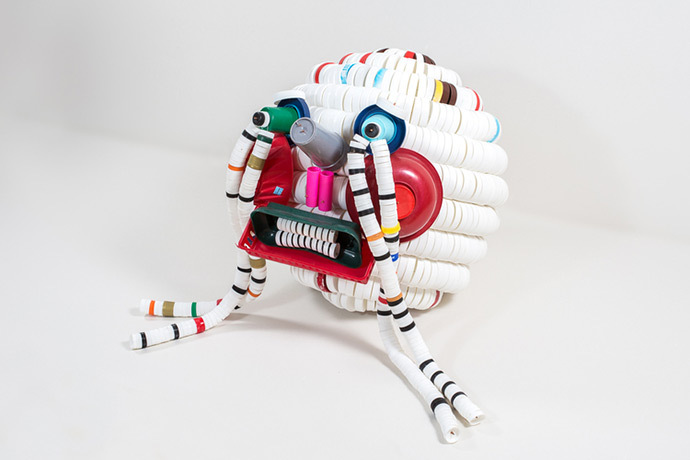 He turned his massive collection into masks (pictured above White Mask, 2015) and what he calls “Shakers, Throwers, and Crashers”. Pictured below, these chandelier-like pieces are strung together onto wire and rope and can then be shaken or even thrown. 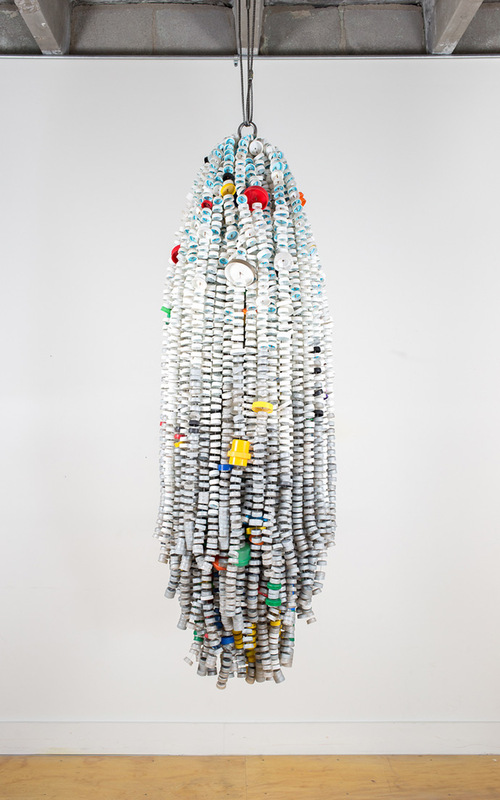 The bottle caps make a sort of colorful tornado, and we’re betting a pretty loud one too! 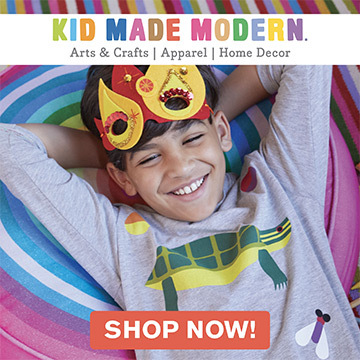 We are so incredibly inspired by the way Alex has strung the bottle lids together and turned them into these colorful masks! His thoughtfulness and attention to detail make it nearly impossible to look away. 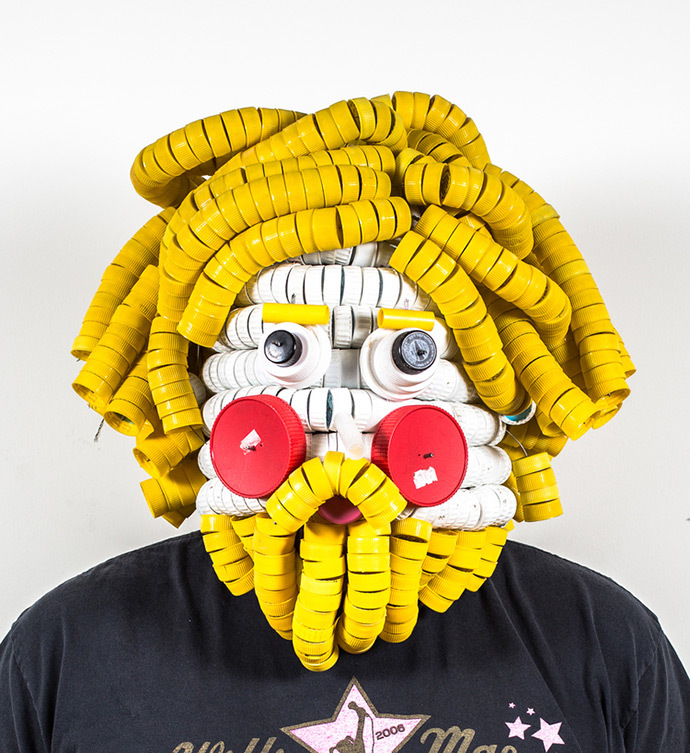 Pictured above is Red Mask, 2015 and below White Mask, Yellow Hair, 2015. 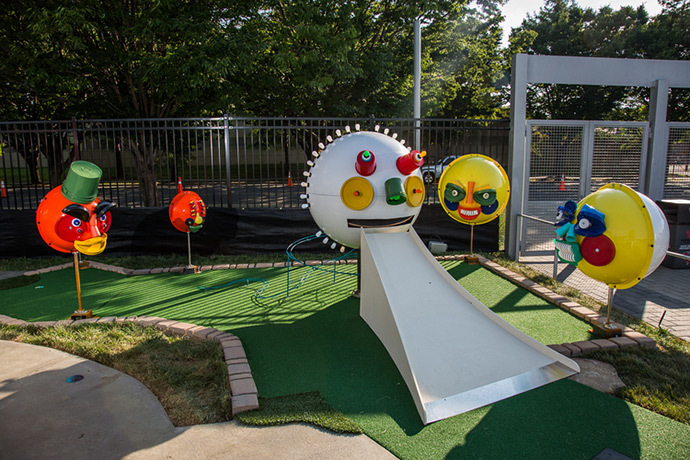 We also love these public art pieces that are on display at a mini putt course. 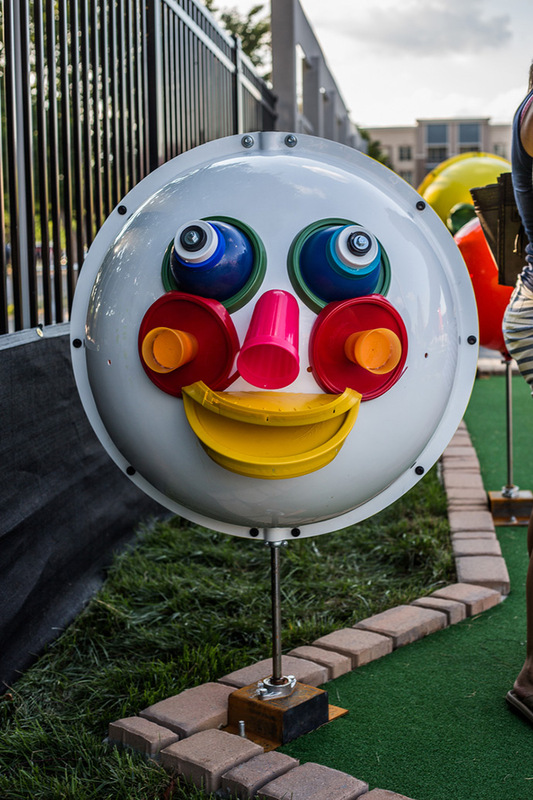 Who else would be so distracted by these cool sculptures to actually focus on making par? We will definitely be making sure to save all the cool-shaped plastic containers to get creative with ourselves! Even though our collection of bottle caps will never come close in size to that of Alex Lockwood, we’re sure feeling inspired to reuse and recycle. 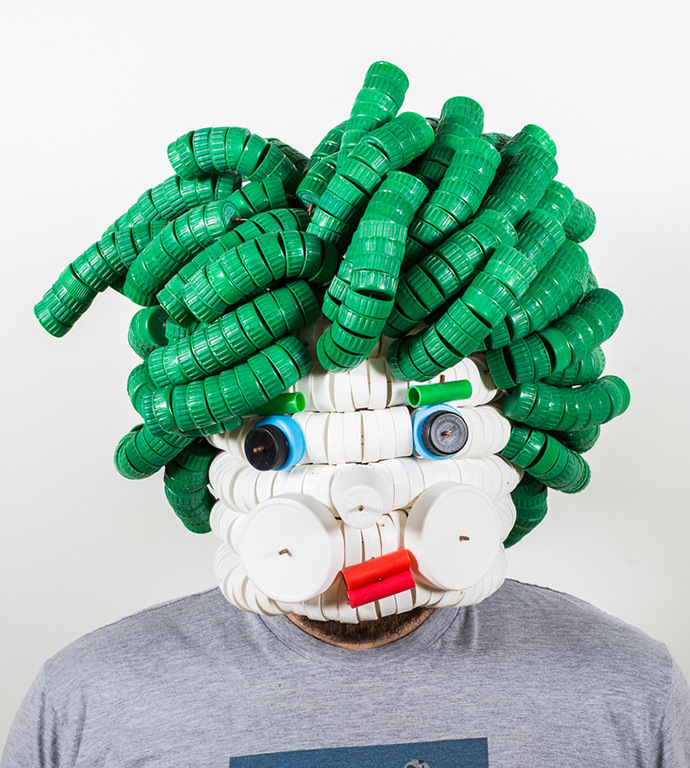 Follow Alex on Instagram to see even more of his recycled creations! All photos from Alex Lockwood’s website.